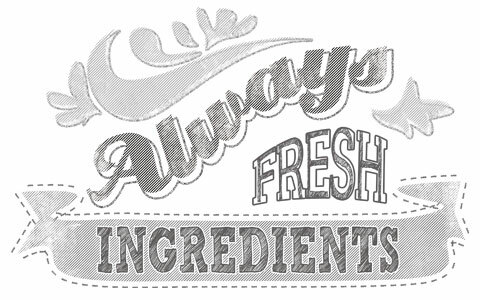 Our passion for amazing food began back in the 1980s. Whether it was incredible family meals or adventures to a little joint on 63rd street on Chicago’s South Side to find what we thought (and STILL think today) was the best falafel in the world. We believed in great tasting food that was fresh, good for you and left you feeling like your meal fueled your mind, body and soul. Not like you’d just eaten a bag of dry cement! My father got us into the business of sharing a passion for food with others, opening Cedars in Hyde Park in the 1990s. Dad worked tirelessly (still does to this day) to create delicious Mediterranean food from the best ingredients he could find. From day one he had at his side the most amazing culinary craftsman—the former sous chef for Mediterranean royalty. Every ingredient he used had to have purpose. Food fit for a king, served to the good people of Hyde Park. 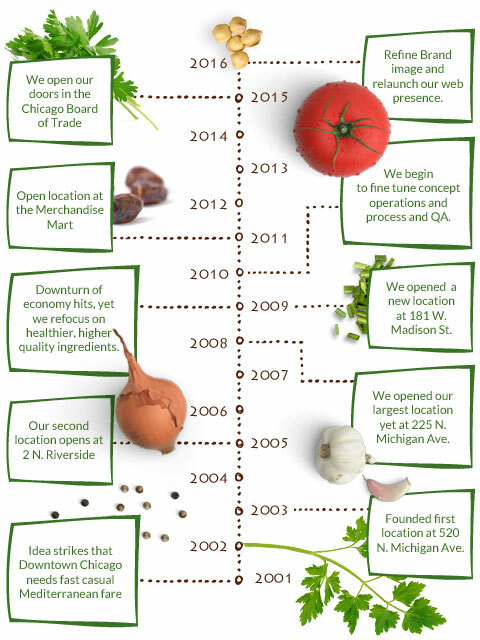 We opened our first Mezza back in 2003 on Michigan Avenue. We knew we loved the food we made and we just hoped others would agree. Fast forward to today and we are honored to be serving thousands of “Wholesome, Hearty, Healthy” meals to city dwellers each day from our six Chicago locations. We continue to search the Mediterranean for new, even better ways to prepare Mezza meals. From discovering amazing bread recipes in Jerusalem (if you haven’t tried our Pita, you don’t know what you’re missing) to Shawarma at small stands in southern Spain, we are true explorers of flavors, fresh ingredients and better ways to make delicious food. We’ve also found some amazing beaches along the way! Today, our children are the aspiring young “foodies” and, along with our amazing customers and staff, the inspiration for us to continue working around the clock to ensure Mezza restaurants change expectations in the fast casual category. So if you’re already a Mezza fan, we thank you for your support and business. If not, what are you waiting for? We promise you’ll be glad you tried us. Mezza Grill – Wholesome. Hearty. Healthy.